Red Sox Rock The White House With Flag Jacket And Presidential Selfie : The Two-Way When the team was honored by President Obama on Tuesday, colorful outfielder Jonny Gomes came decked out in a red, white and blue flag jacket. The Sox gave the commander in chief a matching jacket. Red Sox player Jonny Gomes wore his patriotism on more than his sleeve at the White House Tuesday. 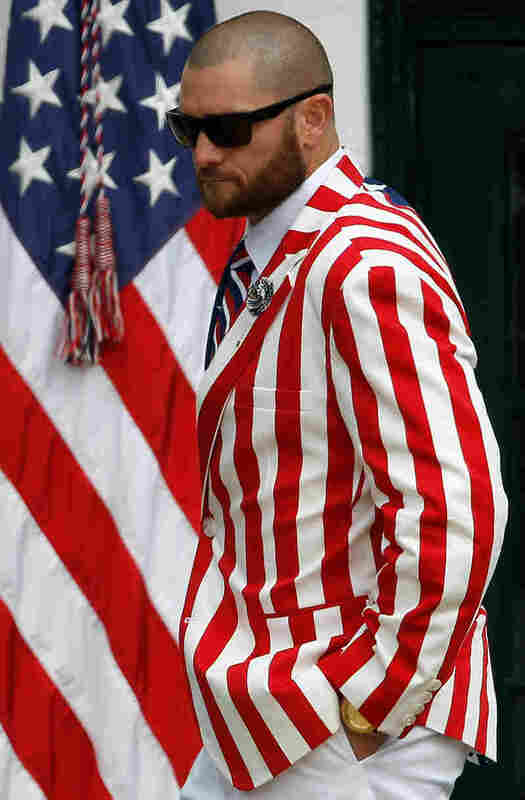 Boston Red Sox outfielder Jonny Gomes had hoped everyone on his team would wear one of the American flag blazers he bought for them all before their visit to the White House today. As it turned out, Gomes was the only player who ended up coming decked out in red, white and blue. He certainly stood out as President Obama honored last year's World Series champions. Reporters covering the event say the Red Sox gave the president a jacket just like the one Gomes was wearing. Gomes said after the event that the president "approved" of his attire. "He looked me right in the eyes and said, 'Nice jacket,' " Gomes told the Boston Globe's Matt Viser and other reporters. 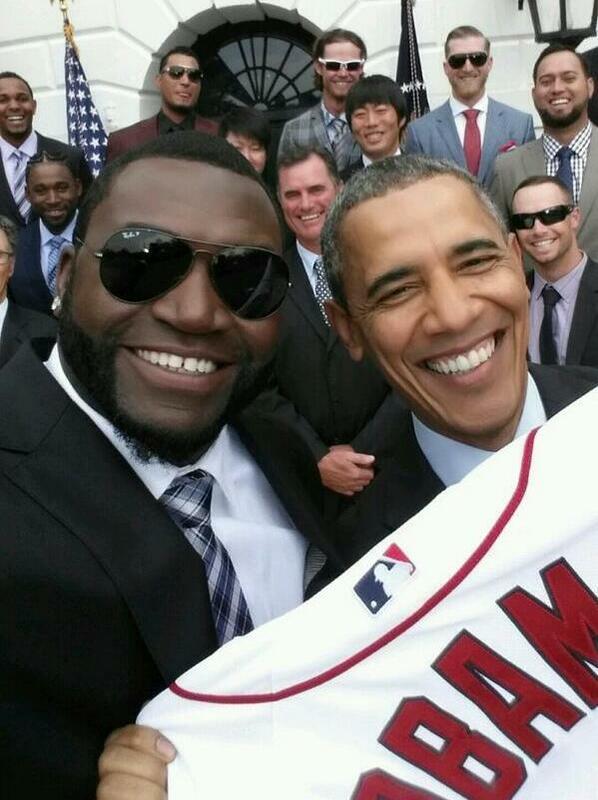 President Obama and David Ortiz of the Boston Red Sox on the front line of a group selfie Tuesday. Meanwhile, the irrepressible designated hitter baseman David Ortiz got the president to pose for a group selfie with an "Obama" Red Sox jersey.